Home Nutrition and Diet How Many Carbs in Broccoli? Broccoli is a vegetable from a cabbage family with the flowering head. It is green and its name comes from the Italian name “broccoli” which means “the flowering crest of a cabbage”. It has a green color to it and a specific taste which is recognizable in the vegetable world. It is very healthy and it contains a lot of fibers, vitamins and it is also low in calorie. It is also good as a food for cancer prevention since it contains substances such as sulforaphane and phytonutrients. How Many Calories in Broccoli? 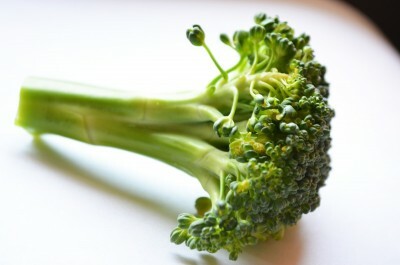 Broccoli is known as a healthy vegetable which is good for our system. It contains Vitamin C, Vitamin D, beta-carotene, lutein, selenium and also substances which are good for fighting cancer. It is a sort of a good carbohydrate. This means that this type of carbohydrate will not spike the sugar levels in our blood. This can be measured with “glycemic index”. This type of measuring can show us how much a certain food can influence the glucose levels in the body and trigger insulin secretion. Broccoli is a vegetable which is known for its low glycemic index where it scores 15 out of 100. This basically means that the broccoli has low effect on glucose levels in the blood which will result in slower burning of the food fuel and will not spike the sugar levels. It is easy to lose all the nutrients out of broccoli if not prepared well, so it is important to know the exact technique. The most nutrients are preserved when it is used raw, but since not everyone loves the strong flavor of raw broccoli, it is mostly cooked. Here are some healthy recipes in which you can enjoy your healthy broccoli meal. The best way to eat broccoli is a steamed broccoli which still holds its flavor. You can steam the broccoli for a few minutes which will give the broccoli healthy green color and will not ruin the healthy fibers and vitamins in it. If you are going to make a dish out of broccoli, you better add that cheese since it’s going to give a massive flavor on top. This can be a side dish or even a low-carb dish for some of you who are looking for a fitness meal plan. Broccoli served along with garlic and a pinch of olive oil is a great combination for serving. It can also be a side dish and it can be a salad as well if you use it raw. This will be an antioxidant combination which will keep you healthy and full. If you have some interesting recipes yourself, write bellow, we would love to know.